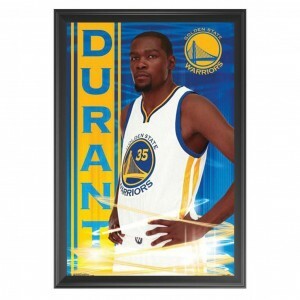 This blue and yellow poster features NBA superstar, Kevin Durant, for the Golden State Warriors. A must-have for any NBA fan! 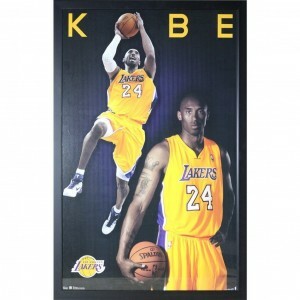 This Kobe framed piece features player number 24 for the Los Angeles Lakers, Kobe Bryant, the youngest NBA All-Star starter in NBA history. 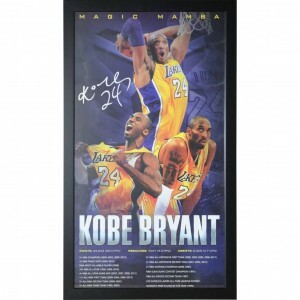 This 'Magic Mamba' Framed Piece features player number 24 for the Los Angeles Lakers, Kobe Bryant, along with his various accolades. This vibrant framed piece features Earvin "Magic" Johnson, an American retired professional basketball player who played for the Los Angeles Lakers from 1979 until 1991 and returned to the Lakers again in 1994 as a coach and 1996 as a player. This piece features his career highlights as well as action shots. 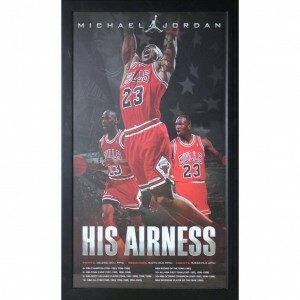 The 'His Airness' framed piece features Michael Jordan playing for the Chicago Bulls, where his slam dunks from the free-throw line earned him the title of "His Airness". 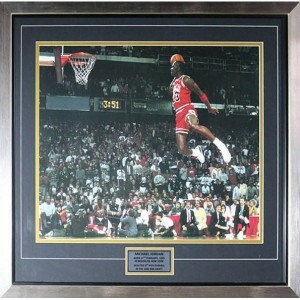 Metal framed Image of Michael Jordan dunking the basketball. 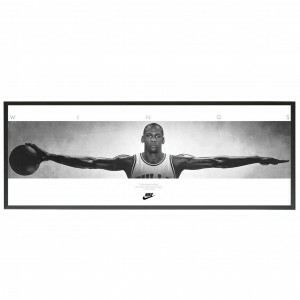 This framed print shows Michael Jordan with his arms outspread, a basketball in one hand. At the top it says "Wings". At the bottom it says "No bird soars too high, If he soars with his own wings. -William Blake." Michael Jeffrey Jordan (born February 17, 1963) is a retired American professional basketball player. Widely considered one of the greatest basketball players of all time, he became one of the most effectively marketed athletes of his generation and was instrumental in popularizing the NBA around the world in the 1980s and 1990s. 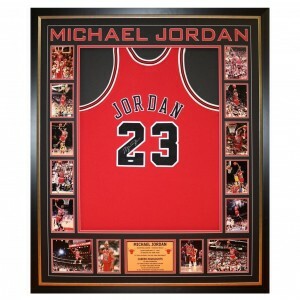 After a standout career at the University of North Carolina, Jordan joined the NBA's Chicago Bulls in 1984. A must have for the die hard fan. 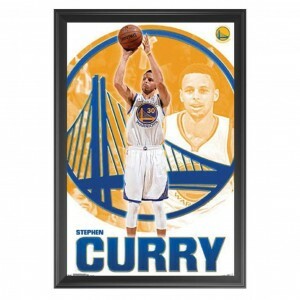 This Stephen Curry framed piece features the Golden State Warriors point guard, Stephen Curry who was selected with the seventh overall pick in the 2009 overall draft. Curry then led the Golden State Warriors to their first championship in 2015 since 1975.